Three years ago, I wrote a post describing how photographs can sometimes inspire poems. You can read it here. Well, that still happens for me, but as well as taking photographs, I also like playing with images. I use digital photo programs, such as the widely-used Photoshop Elements. It is great for enhancing photographs or creating illustrations. a small autumn fairy contentedly swings. 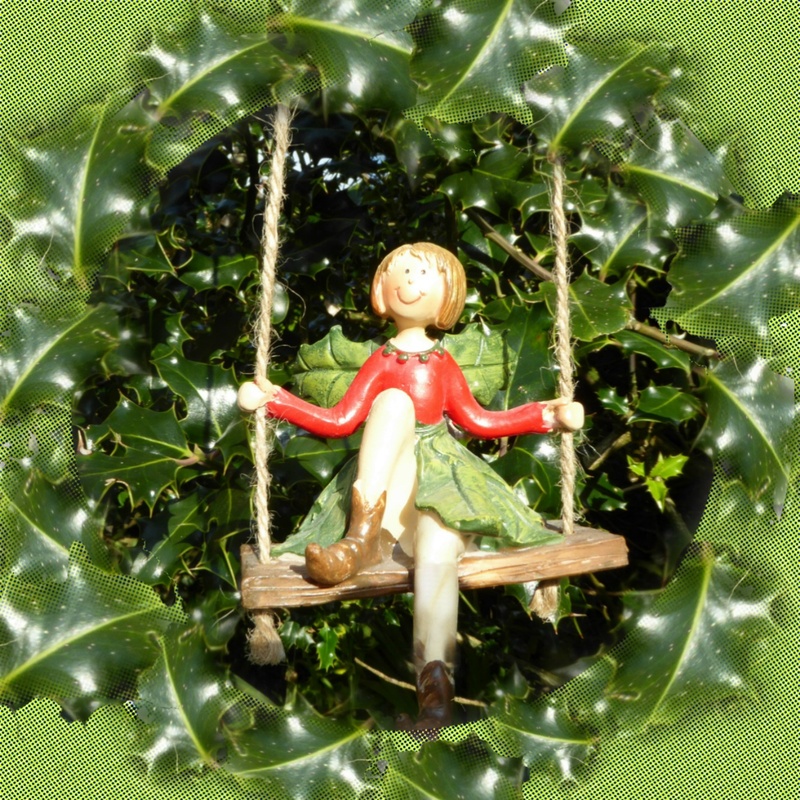 this evergreen fairy will still swing along. show holly, for her, is a wonderful place. swinging on high in the bright, shiny holly.